Register now for our third annual Alumni Global Day of Service, scheduled for April 28-30. Alumni-led volunteer projects are planned for communities across the world. No special skills are needed. If you have #BingPride, a few hours to spare and a desire to make a difference, you're just what we're looking for. See where our projects will be happening. If you don't find one near you, don't worry, you can still be part of the fun! This weekend, the clock springs forward. The days are already getting longer and, in the Northeast, there have been doses of spring intermingled with nature reminding us that winter isn’t quite over. For Crew Club alumni, it’s easy to remember the excitement and camaraderie of the spring season when boats hit the water. In the past month, our alumni have been getting together in some not-so-usual places, such as down south and across the pond. We'll be offering some great events in the next few weeks. See what's on the calendar and sign up today. 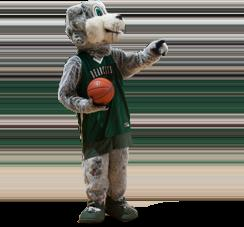 Make a difference and share your #BingPride by making a gift today to The Binghamton Fund. By making a gift to the University's annual giving program, you provide immediate support to our campus. 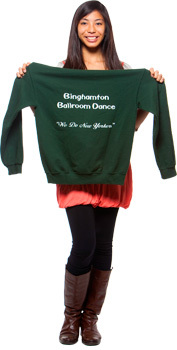 Celebrate your Binghamton experience by helping another student receive a great Binghamton education! TAG (Thank-a-Giver) Day is coming! On March 15, more than 500 green tags will take over campus, creating a visual representation of all that donors make possible at Binghamton. With giant three-foot tags prominently displayed on major areas like the Fleishman Center for Career and Professional Development and 10-inch tags fluttering in many locations, donors will see and feel the gratitude.